It's softer and easier to carve but maintains all of the qualities of traditional "Battleship" linoleum. The fine textured surface produces sharp, clear prints and won't distort when subjected to high pressure in the printmaking press. The lighter golden color makes pencil marks easily visible no need to paint the surface white. The inevitable hardening-with-age process has been significantly reduced with Golden-Cut Linoleum. For your convenience we offer unmounted Golden Cut linoleum in packages of pre-cut pieces in popular sizes. 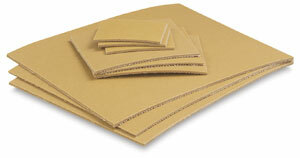 Enjoy extra savings on the same Golden-Cut linoleum as in rolls. Cut it yourself using a sharp knife, utility cutter, or paper trimmer.